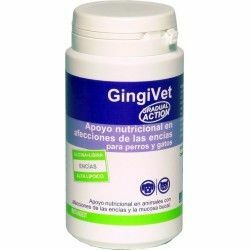 - Especially suitable for small dogs and puppies. 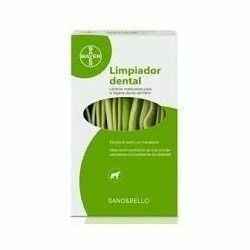 - Helps to maintain the dental hygiene of your dog and freshens breath. - Helps prevent tartar and plaque. - On container plastic reusable. 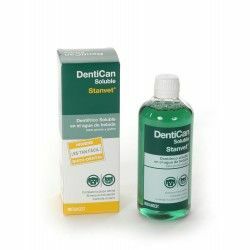 DENTICAN SOLUBLE. TOOTHPASTE SOLUBLE Novel presentation for the oral hygiene of the pet. Kit, Dental contains a new Toothpaste Enzyme formula enhanced with proteolytic enzymes. The cleaner dental for dogs, Healthy & Beautiful from the Bayer cares hygiene and dental health of your pet. This candy contains illustrations chews made with ox-hide to keep clean the teeth of the animal. They like a lot and you can give as a prize or reward.